The Masters Tournament on ESPN - ESPN Press Room U.S. The Masters Tournament at Augusta National Golf Club is the highlight of the year in golf and the harbinger of spring for golf fans around the world. For the 11th year, ESPN will air live play of the first and second rounds of the Masters, surrounding the telecasts with an expanded SportsCenter presence as well as news, information and analysis on television, radio and digital outlets for the entire week of the event. ESPN and ESPN Deportes will air live action from the first and second rounds on Thursday, April 5, and Friday, April 6, from 3-7:30 p.m. ET with an edited encore presentation in prime time each night from 8-11 p.m. on ESPN and an additional overnight encore at 3 a.m. on ESPN2. ESPN also will air the traditional Masters Par 3 Contest on Wednesday, April 5, from 3-5 p.m. followed by a one-hour SportsCenter at the Masters special at 5 p.m. An encore telecast of the Par 3 Contest will air at 8 p.m. on ESPN2. SportsCenter’s presence at the Masters has been expanded this year with dedicated SportsCenter at the Masters programs airing Wednesday (noon – 3 p.m. and 5-6 p.m.) and Thursday-Friday (10 a.m. – 3 p.m.) on ESPN. Prior to the live television windows Thursday and Friday, SportsCenter will be the premier destination for golf fans to get their live Masters updates, including highlights of play, with updates airing between 8-10 a.m. on SportsCenter:AM on ESPN2 prior to the 10 a.m. programs. Sage Steele and Van Pelt will be lead anchors for the weekday SportsCenter segments. Always a highlight of Masters week, the fun and family-oriented Masters Par 3 Contest will air Wednesday, April 4, from 3-5 p.m. on ESPN, with an encore telecast at 8 p.m. on ESPN2. The contest, which began in 1960 and includes current Masters invitees as well as past champions, creates many exciting moments on the Augusta National Par 3 course. The wives and girlfriends of players often serve as caddies as do children, grandchildren or celebrity friends. Many current players use the event as stress relief and an outing with their family on the day before competition begins at the Masters Tournament. ESPN’s flagship news and information program SportsCenter will feature live updates from Augusta National Golf Club throughout the Masters Tournament beginning the morning of Monday, April 2, and continuing through the end of the event on Sunday, April 8. On the first two days of competition, Thursday and Friday, April 5-6, viewers will be brought up-to-date with multiple reports per hour on SportsCenter including in-progress highlights, scores and interviews on SportsCenter:AM from 8 a.m. until 10 a.m. on ESPN2. After that, a dedicated SportsCenter at the Masters program will air on ESPN from Augusta from 10 a.m. until ESPN’s telecast of live play begins at 3 p.m.
A one-hour SportsCenter at the Masters special will air Wednesday, April 4, at 5 p.m. on ESPN with a preview of the Tournament. Van Pelt will host with analysts Andy North and Strange, and reporters Rinaldi, Gene Wojciechowski and Marty Smith. The SportsCenter special follows ESPN’s telecast of the Masters Par 3 Contest from 3-5 p.m. Earlier on Wednesday, SportsCenter at the Masters will air from Augusta from noon until 3 p.m. on ESPN, with reports in SportsCenter:AM between 8 a.m. and 10 a.m. on ESPN2. On Tuesday, April 3, the news conferences of several prominent players will be aired on SportsCenter, with the schedule for morning and afternoon sessions to be determined. Also, ESPN will report the Masters first-round groupings as soon as they are announced. SportsCenter will air on ESPN2 from 1-5 p.m. In addition to Van Pelt and Steele, Michael Eaves and Matt Barrie will anchor SportsCenter reports from the Masters with North, Strange, Rinaldi, Wojciechowski and Smith. In addition, CBS golf analyst Dottie Pepper will join SportsCenter for daily segments Wednesday-Sunday. Features and interviews will be part of SportsCenter coverage of the Masters, including the story of 30-year-old amateur Matt Parziale, who is living every golfer’s dream by playing in the 2018 Masters. But as Wojciechowski reports in the feature, what many don’t know is that Parziale holds a very challenging day job as a Massachusetts firefighter. ESPN Deportes, ESPN’s multimedia, Spanish-language sports brand dedicated to providing the widest variety of sports to the U.S. Hispanic sports fan, will have live television coverage of the first and second rounds of the Masters Tournament on Thursday and Friday, April 5-6, from 3-7:30 p.m. Francisco Aleman (analyst), Silvia Bertolaccini (play-by-play) and John Sutcliffe (player interviews) will describe the play from Augusta National Golf Club. Fernando Alvarez will host coverage from the ESPN Deportes studio. ESPN Deportes Radio will have live updates of the Masters during Zona ESPN (Monday-Friday, noon-2 p.m.). In addition, ESPNDeportes.com will offer extensive Masters coverage at its golf index page. News, reactions and columns from golf writer Bob Harig and senior golf analyst Michael Collins and com national writers Ian O’Connor and Kevin Van Valkenburg. “Digital Drive,” an exclusive com program hosted by Van Pelt and North will be produced each night Wednesday-Sunday of Masters week. Links to com incorporating traffic roll-up of live feeds from Amen Corner, Holes 15 and 16 and Featured Groups as well as driving range video. Video clips from ESPN golf analysts North and Strange. Photo Gallery wrapping up the year’s first major. Experts’ picks for the Masters. Michael Collins’ Top 25 rankings and Caddie Confidential. A look at which golfers outside of the U.S. have the best chance to win the Masters. Justin Rose went into a slump after a green jacket slipped away in a playoff against Sergio Garcia last year at Augusta National. A look at his journey over the past year leading into the Masters. Kevin Van Valkenburg: The only word for what’s happening with Tiger right now is surreal. We keep struggling to find the words, and will struggle through his return to Augusta National to continue to find them. But let’s examine what he means in the sports space leading into the Masters. Bob Harig on winning the Masters over age 40: Others have done it – Jack Nicklaus, Phil Mickelson, among others – so what are the chances Tiger can as well? An historic look back at why the numbers are behind Woods’ chances. Rory McIlroy data-visual: McIlroy has the third-highest odds to win the Masters this year according to Vegas. If he does, he joins a super-select club of five golfers who have a Career Grand Slamin the Masters era: Jack Nicklaus, Tiger Woods, Ben Hogan, Gary Player and Gene Sarazen (Bobby Jones also did it pre-Masters). All icons and all-time greats. A breakdown and comparison of their Slams. Ian O’Connor: Matt Parziale isn’t going to Augusta National as a fan. The fireman from the Boston suburb of Brockton, Mass., is in the field after winning the U.S. Mid-Amateur championship. He isn’t the day-trader, stockbroker type who plays golf more than he works. Parziale earns his living as a first-responder. Golic & Wingo, which airs on ESPN Radio and ESPNEWS from 6-10 a.m. ET weekdays, will have live interviews from Augusta National with ESPN’s golf analysts and reporters during the week. Also, the April 2 edition of ESPN Audio’s Marty Smith’s America … The Podcast will contain a lengthy interview with Tiger Woods as well as an interview with Rory McIlroy as they prepare to compete in the Masters Tournament. The podcast is available on ESPN Podcasts and iTunes. The Dominant 20 issue of ESPN the Magazine (cover date April 2), which also is the Magazine’s 20th anniversary edition, features Tiger Woods on the cover as the Most Dominant Athlete of the past 20 years. Woods is featured in an exclusive photoshoot. The issue also contains an interview with Woods by ESPN’s Marty Smith – Woods discusses his return to competitive golf, how fatherhood has impacted him and how many majors he thinks his injuries cost him. This year 53 countries will see the Masters on ESPN platforms and can follow the event on ESPN television, online, mobile and broadband platforms. In Latin America and the Caribbean, all four rounds and the Par 3 Contest coverage to 52 countries and more than 70million households. A live 30-minute studio preview show will air prior to all four rounds of the Masters in Spanish-speaking Latin America. 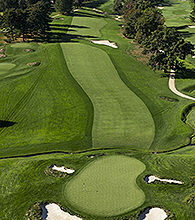 In Canada, TSN will air the first two rounds of the Masters and the Par 3 Contest live with same day re-airs in primetime of the third and final rounds; RDS will carry all four rounds live in French language and the TSN.ca/RDS.ca digital platforms will stream exclusive live coverage of “Amen Corner,” a Featured Group of the day, plus Holes 15 and 16. TSN’s/RDS’ television networks reach nearly 12 million households. ESPN Classic will feature 43 hours of highlights of past editions of the Masters in a two-day tribute leading up to ESPN’s live coverage of the event. The tribute begins Tuesday, April 3, at 8 p.m. with an airing of highlights of the 1960 Masters won by Arnold Palmer, followed by highlights from the 1978 Masters won by Gary Player. Highlights of every Masters since 1963 will then air consecutively, running straight through until 3 p.m. on Thursday, April 5, when ESPN’s live coverage of the 2018 Masters begins. Sergio Garcia’s triumph in the 2017 event will close out the marathon. Click HERE to visit ESPN’s online golf media kit containing commentator bios, schedules and more.